Become an expert at coaching leaders to have more Power & Influence. Highly personalized with no more than 10 coaches per cohort for maximum coaching practice. PLUS: In addition to getting Certified you discover how to have more Impact & Influence than ever before. NOW AVAILABLE FOR ANYTIME REGISTRATION. We match you with a cohort as others join, or contact us if you have a group of at least 6 professionals. JOIN NOW BEFORE SPECIAL INAUGURAL PRICING MORE THAN TRIPLES, AND SAVE $3,500! One coaching solution that that leaders and organizations always seek is to increase their impact by having more power and influence. 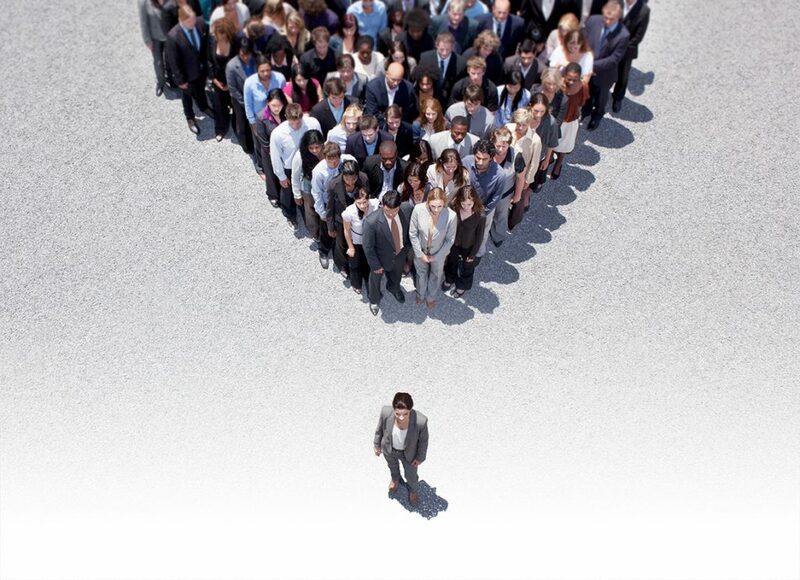 This topic has been a sweet spot at the Center for Executive Coaching for almost two decades. We have worked with over 1,500 professionals from 32 countries and some of the largest companies in the world on this topic. For these reasons, it is natural that we have created a special Coach Certification program focused on Power & Influence. According to our research, what we give you in this program goes far beyond anything else in the market, and shows you how to work with high-end coaching clients to help them develop greater power, influence and impact. First, you set yourself apart as an expert who gets proven results helping leaders improve their influence and impact – in practical, measurable ways. They influence others more powerfully in one-on-one conversations. They build stronger relationships and have an easier time making things happen. They expand their network of relationships so that they are in the know and get more opportunities. They are perceived more positively by others. They use their time more effectively and productively as leaders. They get buy in for their ideas and execute ideas in ways that have lasting impact. Second, you learn how to win new engagements with high-end clients, so that your practice grows. During the program we show you different ways to package and market Power & Influence coaching and professional development solutions that organizations and leaders want. Examples include: one-on-one and group coaching, recurring in-person meetings (similar to a Toastmaster-style format), an online or distance learning format, and trainings or facilitated sessions. We are known for our proven approaches to business development and we provide you with teleclasses, support, and even marketing copy templates to help you attract clients. Third, you realize significant gains in your own power, influence, and impact. That’s because the curriculum enables you to put the content into practice in your own life and work. That way, you learn it first-hand and become an even more effective coach – while also gaining the benefits that come from this work. Expand your network of professional relationships to include more decision makers and opinion leaders – people who can help you get better opportunities. Secure access to higher-level decision makers and more dynamic organizations. See more attractive opportunities come your way. Enjoy better brand recognition for your practice. Be more confident and effective having business development conversations, so that you win more business. All of the above translates to more exciting work with more dynamic clients, and of course higher fees and more revenue. THE POWER & INFLUENCE COACH CERTIFICATION PROGRAM. The Center for Executive Coaching’s Power & Influence Coach Certification Program consists of two parts. Part I: A rigorous Power & Influence Mastery Applied Experience with Master Coach Training Classes that you complete with a small cohort of other coaches. Part II: An in-depth Power & Influence Coach Training Program that that enables you to work with high-end clients to help them reach new levels of performance. Have a small group of extremely well-trained, elite Certified Power and Influence coaches equipped to work with dynamic clients and organizations, focused on bringing best-practices of Power & Influence to leaders and up-and-coming talent around the world. Part I of your program takes a bold, unique approach to learning and applying the proven practices of influence, and it is an approach that you can use with your own clients. The program takes place over 12 weeks, and requires a 2-4 hours per week time commitment that you complete on your own schedule. It is a rigorous and fast-paced experience. During the program, you complete a number of assignments that improve your own Power & Influence, reflect on your results, give and receive coaching and support to your fellow cohort members, and expand your capabilities as a coach. The bottom line: You make significant improvements in your own Power & Influence while learning how to coach others to do the same. Set your goals for the program. Learn the best practices of Power & Influence and practice what you learn with your cohort. Complete a series of real-world, but low-risk, influence exercises. Each gives you the opportunity to apply what you have learned break through to new levels of impact. Interact with your cohort each week to give and receive coaching and support, and to be accountable for your goals in the program. Reflect, learn, and commit to new and more effective ways of influencing, leading, and coaching. Includes recorded Master Class to spur your ideas; you can follow up at any time with Program Developer Andrew Neitlich with questions or even to schedule a discussion based on lessons learned during these classes. This part of the program includes a 178-page curriculum guide and manual, along with over two hours of animated training videos about influence. With this part of the program alone, our intent is that you have had one of the most exhilarating and powerful learning experiences of your lifetime – and that you receive never-ending value from what you have achieved. You will be grounded in the theory and practice of influence, skilled at the competencies of using influence, and prepared to coach other leaders in influence. Note that your program includes support directly with Founder and Director Andrew Neitlich in case you have questions or want to schedule one-on-one discussions. Meanwhile, you schedule activities around your busy schedule, so that you don’t have to jump through any hoops to attend. This part of the traning is a more structured curriculum that shows you exactly how to coach clients on specific topics of influence. It includes specific coaching methods and plans to use for specific situations: high-stakes conversations, choosing the right influence strategies in different situations, influencing multiple people to get buy in across a group or organization, improving one’s network of connections, improving one’s leadership presence, strengthening personal brand and the perception one generates among others, using time more effectively to focus on influence and impact, and using scale to make ideas sustainable and spread more quickly. Each session provides specific methods and tools for you to learn. We also discuss how to market coaching solutions to clients, including how to combine coaching with other solutions such as training, assessments, facilitation, and leadership groups/circles. We also cover business development and different solutions you can offer to clients, so that you get a turnkey program. There really is nothing else this comprehensive in the marketplace. You can join anytime, because each teleclass stands on its own, and continues in an ongoing cycle. You can also keep coming onto teleclasses as long as you wish. As with Part I, your program also includes support directly with Founder and Director Andrew Neitlich in case you have questions or want additional support. 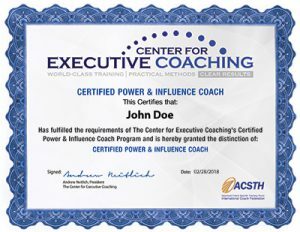 Upon completion of the program, you receive an 8.5 X 11” certificate in the mail, suitable for framing and designating you a Certified Power & Influence Coach with the Center for Executive Coaching. No test is required. You simply have to participate in the program to its conclusion. If you are a member of the ICF or seeking an ICF designation, all live hours of training, up to 26, are eligible for BOTH CCEs and live core competency training hours with the ICF. Your investment in the program is $1,500. 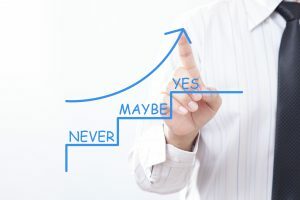 This is a no brainer because a single executive/leadership coaching client brings in many times more than that, as does a single training event. You can even pay in 5 monthly installments of $300, or pay $1,450 up front. Note that this pricing schedule is only for our first few cohorts and will go up to $5,000 soon, to be more in line with the market. The program is designed to be one of the most powerful professional development experiences of your career and life. If you take full advantage of the content and do the work, you will expand your capabilities as a coach and professional like you never have before. You will have the opportunity to attract a better quality of client and serve them at a new level, too. Again, it is not hard to pay back this investment. A single client or training program that you offer will more than do it, and we don’t think it is a stretch to claim that the best practices in influence you learn and apply are more than enough to help you take your practice to a new level and make the investment well worth it. Plus, remember that you receive ongoing support with marketing and business development to help ensure that you receive the return you expect. There is a catch. We expect a lot from coaches who join this program. In Part I, you will be part of a cohort that depends on you for coaching, advice, and feedback. You should not join if you are not willing to do the work and participate fully. PLEASE CLICK HERE TO READ THE GROUND RULES AND EXPECTATIONS. Please do not join unless you are willing to accept these terms. If you recognize the opportunity that this program can make available to you, know that Power & Influence is a coaching opportunity that is always in demand, and you are willing to make the commitment that this program requires, register for our next cohort by clicking either of the payment buttons below. Call Founder and Director Andrew Neitlich at 941-539-9623 anytime with questions. We only offer this program rarely, space is extremely limited, and our beta pricing will more than TRIPLE soon.